After getting feedback from riders, Metro has decided to postpone making routing changes to routes 2, 4, and 27. 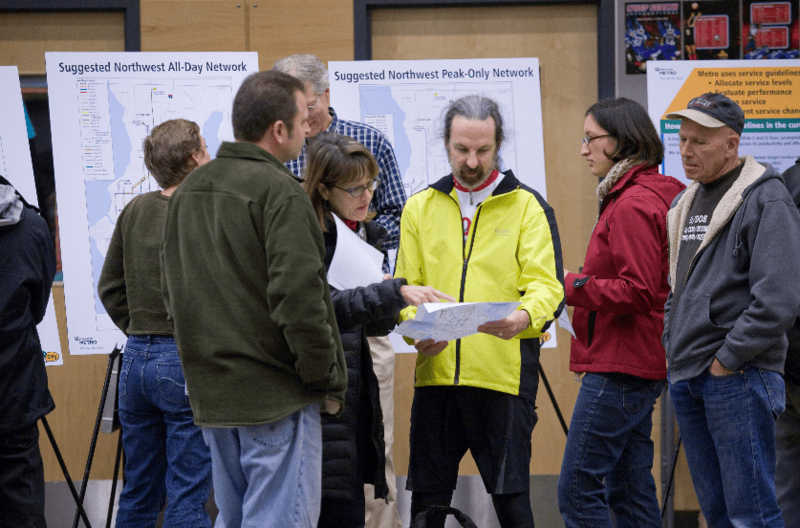 We designed a set of proposed route changes for September 2012, and we’ve been collecting public input on them throughout the month of February. Our goal in proposing the changes is to improve efficiency and serve more people and places. But feedback already received from current riders has helped us understand how important some of our existing service is to their lives and neighborhoods. We’ve heard that there are factors that deserve further review, analysis, and understanding. So we’ve decided to postpone making any changes to the routing of these three routes. Instead, we’re now proposing to make only small adjustments to the frequency and running hours of routes 4 and 27 to match the demand for service. If changes to Route 2 are off the table for September, does that mean that the added trips for Route 13 are also now off the table? It appears from the proposal that the added trips on the 13 were to replace the old North portion of the 2. That is a HUGE issue to consider. It is extremely inconvenient and harmful to discontinue routes that serve popular areas such as universities, businesses, and especially hospitals! Not only could it hurt health care providers who use public transportation, but it could also hurt patients greatly. Regarding changes to Rte 2 on Seneca Street (and other routes near hospitals): It is absolutely vital that any and all hospitals, including Virginia Mason, are provided with routes that are relatively easy to access for individuals who have locomotion issues i.e handicapped, users of wheelchairs, crutches, etc. Transportation services such as Access and Hopelink (DSHS) are often overwhelmed by the needs and depend on state (taxpayer) funding. As a hospital employee I have seen patients wait for hours for these services necessitated by lack of accessable bus services. One-tenth of a mile may not seem like much to the ablebodied, but is a HUGE distance to one in a wheelchair or on crutches. Not only are routes an issue but the timing can also be a problem. With no bus service provided near emergency rooms at night patient options are again limited – mostly to taxpayer supported options such as those mentioned or Medicare. In addition, both routing and timing affect employee transportation options. As hospitals must be staffed twenty-four hours a day many employees end up driving to work as there is no bus available or the schedule is too burdensome. For example, commuting by bus 255 from my home in Kirkland to Virginia Mason for night shift (11pm to 7:30am) takes three to four hours roundtrip depending on the day of the week. I hope Metro will consider these issues in the future when deciding on routes near hospitals.